The software allows you to repair the SharePoint .mdf files from corruption issues caused due to virus attack, trojan infection etc. The software scans the entire database to recover the SharePoint Data. During the process , a scan report can be generated that shows MDF file datails like Pages Read , database version , database name , table count , functions. The tool allows you to perform a quick scan of the damaged SharePoint .mdf files. You can preview all the listed items with their associated attributes. The software is able to resolve any type of the error mesages that comes up while accessing the SharePoint database. Save in SQL Server Database: The recovered database can be exported directly in the SQL Server. Extract Sharepoint Documnets:All the SharePoint documents can be saved in a new .mdf file. The software allows you to select specific items from the database that you want to export.Thus it becomes easy to save only the important data rather than saving the entire data. A great SharePoint document recovery tool that will help you restore SharePoint documents in almost all SharePoint database corruption cases. SharePoint Server is an integrated application consisting of various products and software elements.This Microsoft Office SharePoint Server (MOSS) is a shared portal application based on Windows SharePoint Services (WSS) platform. This great application is primarily used to host websites that have shared workspace, documents, content databases, lists, document libraries etc. The information of SharePoint databases is saved in SQL MDF database files. How to Recover SharePoint documents after database corruption? Corruption and damage in all the computer applications is something very common and frequent. 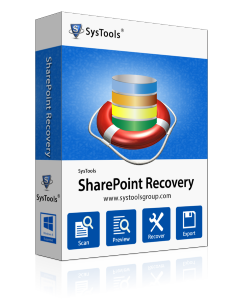 If your SharePoint database has got corrupted, then SharePoint recovery tool of can help you recover SharePoint documents easily & effortlessly. Step 2: Click on Recover button and recover Corrupt MDF File. Step 3: Preview all the documents of the repaired MDF File. Step 4:Click on Export button to export the recovered SharePoint Database. Is there any size limitation on the SharePoint Database ? No , there is no limnitation on the size of the SharePoint Database. The performance and the properties of this tool are worth appreciation. I was able to recover my entire SharePoint Database with less efforts made and in less time. I was so impressed with the demo version of the tool that I immediately made a purchase of the full version to avail the full features of this great tool. I was able to retreive documents from my SharePoint Database easily.